In yet another move while gearing up for 2017, the Centre is now expected to go tough on cheque bounce cases. 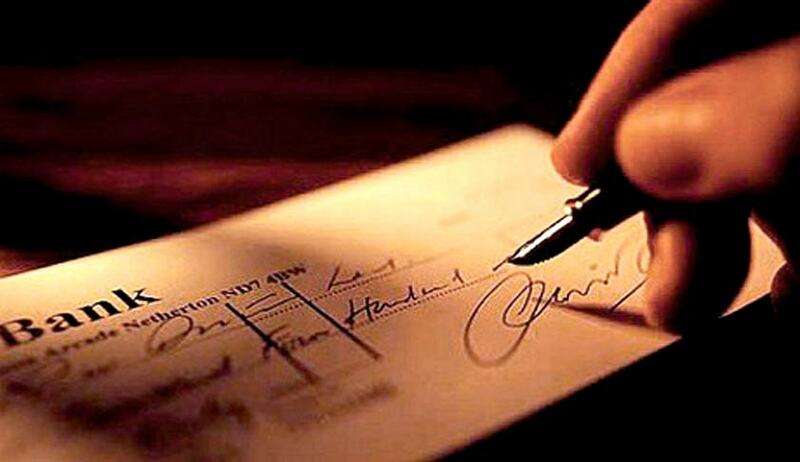 The government is planning to introduce stricter punitive measures for dishonour of cheques with necessary amendments to be introduced in the coming budget session, sources said. As per media reports, ‘The government would try to pass the amendments to the law when Parliament sits for the budget session, likely from the last week of January’. Currently a bailable offence, the government could pass amendments making it a non-bailable offence. The Trader’s Association had reportedly put in an appeal with the Finance Ministry to take necessary steps in this regard and lay down stringent punishment for cases related to dishonoured cheques. The measures were suggested to be adopted as part of its steps to normalise business post demonetisation. As per the current law, since it is a bailable offence, the defaulters can escape imprisonment as long as the trial is on. The law lays down an imprisonment of up to two years or fine that may extend up to double the dishonoured amount, or both.